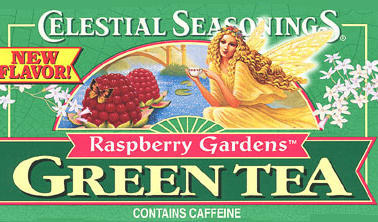 Size (inches): 2.56" X 5.51" X 3.15"
The bright flavor of fresh, juicy raspberries blends like a dream with mellow green tea in Raspberry Gardens Green Tea. This wholesome blend features a luscious burst of raspberry flavor to remind you of enjoying delicious fruit fresh from the garden. Remember the simple pleasures of a lazy, hazy summer day with a steaming cup. Or relax with a tall icy glass, and make any day cool. This product contains all-natural ingredients and flavors, and no artificial colors or flavors.